Reduced ability to contract the quadriceps muscles is often found immediately following anterior cruciate ligament (ACL) surgery. This can lead to muscle atrophy and decreased function. Application of neuromuscular electrical stimulation (NMES) may be a useful adjunct intervention to ameliorate these deficits following ACL surgery. The purpose of this review was to determine whether NMES in addition to standard physical therapy is superior to standard physical therapy alone in improving quadriceps strength or physical function following ACL surgery. 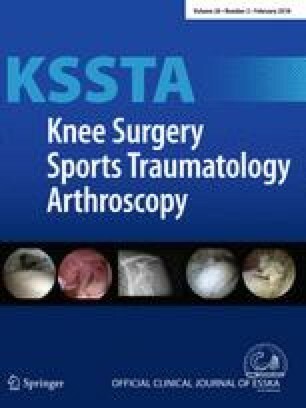 A computer-assisted literature search was conducted utilizing PubMed, CINAHL, PEDro and Cochrane Library databases for randomized clinical trials where patients after ACL surgery received NMES with the outcome of muscle strength and/or physical function. Random effect models were used to pool summary estimates using standardized mean differences (SMD) for strength outcomes. Physical function outcomes were assessed qualitatively. Methodological quality was assessed from the Physiotherapy Evidence Database (PEDro)-score. Eleven studies met our inclusion criteria; results from six of these were pooled in the meta-analysis showing a statistically significant short-term effect of NMES (4–12 weeks) after surgery compared to standard physical therapy [SMD = 0.73 (95% CI 0.29, 1.16)]. Physical function also improved significantly more in the NMES groups. PEDro scores ranged from 3/10 to 7/10 points. NMES in addition to standard physical therapy appears to significantly improve quadriceps strength and physical function in the early post-operative period compared to standard physical therapy alone. The online version of this article (doi: 10.1007/s00167-017-4669-5) contains supplementary material, which is available to authorized users. The authors of this article have no conflicts of interest on the matter presented. The study has not recieved any outside funding. No ethical approval has been necessary since sensitive information has not been provided or utilized in this review. See Tables 5, 6, 7 and 8.